2017/04/20　Fukushima would present at the Architectural Hisotry Society’s 2019 conferencese. Details are in the link above. 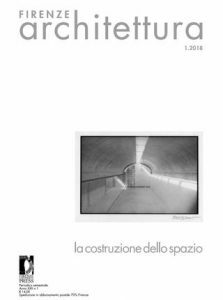 2019/01/31　”Timber Structure” was featured on the Firenze architettura. 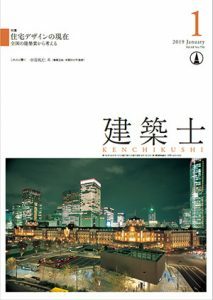 2019/01/07　We have edited the special feature on the January issue of Kenchikushi. 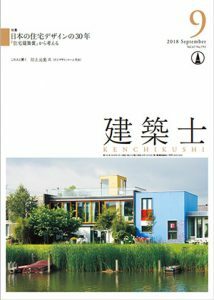 The title is “The current situation of housing design -thinking from the awards throughout Japan'”. 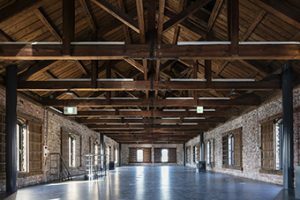 2018/11/09　Warehouse of Time has won the Award of Merit of 2018 UNESCO Asia-Pacific Awards for Cultural Heritage Conservation. 2018/09/01　We have edited the special feature on the September issue of Kenchikushi. The title is “The 30 years of housing design in Japan -thinking from the ‘Jutaku Kenchiku Awards'”. 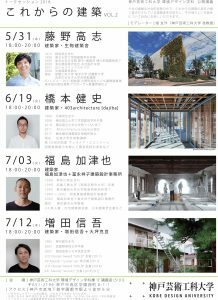 2018/07/26　Katsuya Fukushima would give a lecture at Toyo University under the theme of “Time and Architecture”. Details are in the link above. 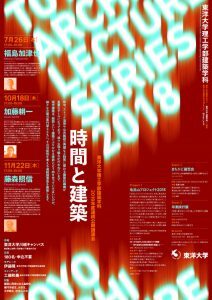 2018/07/03　Katsuya Fukushima would give a lecture at Kobe Design University. Details are in the link above. 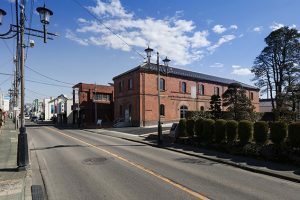 2018/06/03　Warehouse of Time was selected by the Ministry of Land as one of the ‘advanced and new public architectural projects by the owner’. 2018/05/01　Our research project has been selected for the Jusoken’s research grant. 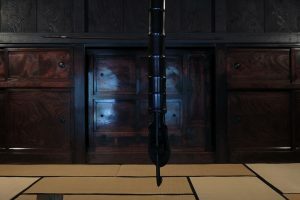 The research theme is ‘The research on rituals in the Japanese Living Spaces’. We would report it through our website. 2018/05/01　Our research project has been selected for the Union Foundation’s research grant. 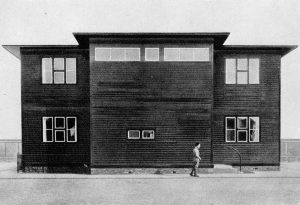 The research theme is ‘Rediscovering the lost Western Modern time’s Timber Architecture’. We would report it through our website.